I will be the first to admit it. My family is over scheduled. My husband works full time as a graphic designer/social media specialist and then does free lancing on the side. I work pretty much full time, am heavily involved in my daughter’s school and watch our girls during the day. I have never wanted my girls to feel like they can’t do things because mom works and so they are regularly enrolled in ballet, swim lessons, soccer and summer camp. It makes life crazy around here and you know what? It works for us. We love lazy days, but we love to be out doing things too. It makes some things kind of stressful. For me lately that has been dinner. I just haven’t felt like cooking. It is a lot of work, a lot of mess and a lot of clean up. Although I love cooking, most nights I would rather be chasing the kids at the splash pad or reading a good book. Dream Dinners has been my rescuer this summer. 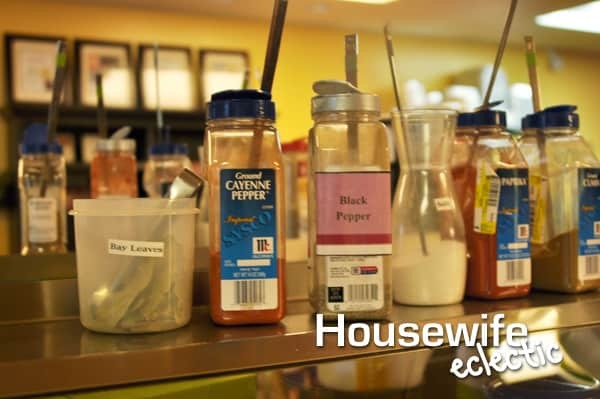 We are a HUGE believer in family meals, but when you don’t feel like cooking that can be a big problem. Dream Dinners has literally rescued our family dinners this summer. I spend one night a month at a Dream Dinner location and assemble 12 meals for my family. At home we look at pictures of the dishes available that month and decide which ones we want to try and then select the meals and the day we want to prep them. When I get to Dream Dinner, they have me wash my hands and put on an apron. They then give me a list of the meals and serving sizes I ordered and I go around to each meal station and prep my meals. You can order your meals in 3 servings or 6 servings. The stations are set up with every ingredient you will need with the appropriate sized measuring spoon already waiting for you. The recipes tell you how many scoops of each ingredient to put in your back. When you have a bag finished, you attach the instructions and place it in a fridge for you to finish your other meals. 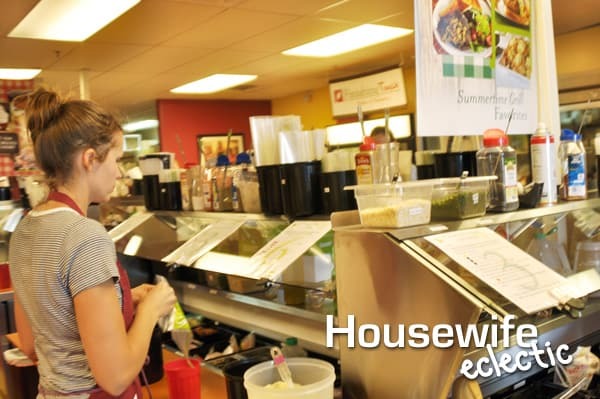 My favorite part is the staff takes care of all the clean up from the meals. You just have to assemble. When you are done assembling, you pack all of your meals in a cooler that you brought with you and take them home and freeze them. Then the night before you want to make something, you just pop it in the fridge. Most of the meals take from 10-30 minutes to prepare and need very few dishes since you have done most of the prep already. With Dream Dinners meals in my freezer, we have eaten out less and had good family dinners more, even in the middle of our hectic summer. I desperately wish I would have had these meals right after my last baby. It would have made life SO much easier. We have recently tried Campfire Pork Chops, Penne with Chicken and Peanut Sauce, Charhouse Chicken Sandwiches on Pretzel Buns and they have all been delicious. 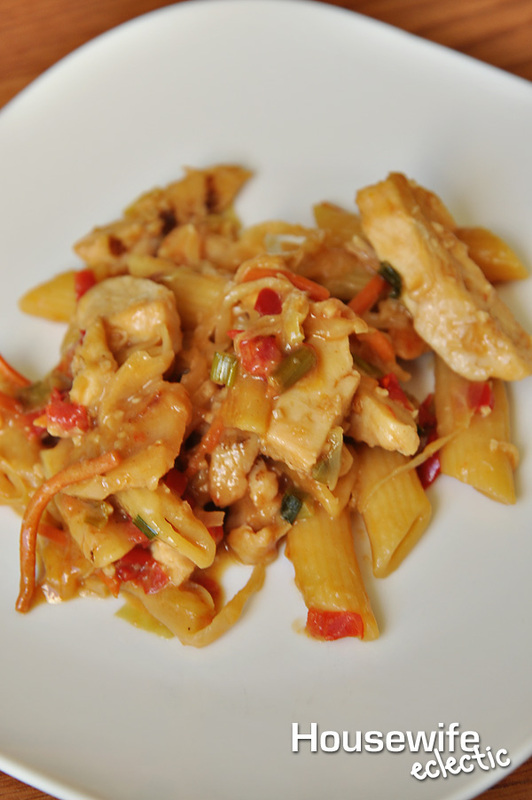 Our favorite things we have tried have been the Key Lime Corn and the Thai Peanut Chicken. AMAZING! I love to have a simple dessert to go with our Dream Dinners meals, these simple Freezer Cookie Dough Balls are meant to be eaten raw and are kept in the freezer for a quick snack after a delicious meal. If you love cookie dough as much as I do, but feel the guilt from eating it when you know you shouldn’t, then you are going to love this quick freezer snack. I make a whole batch of these and then keep them in the freezer for whenever I have a sweets craving. Mix the first two ingredients for a couple of minutes, until well blended. Add the rest of the ingredients and mix. Roll into balls and place on a cookie sheet. Place the cookie sheet in the freezer for about an hour. Remove the cookie dough from the cookie sheet and place in an airtight container and return to the freezer. Pull them out as a snack after a Dream Dinners meal and eat cookie dough with no guilt! Dream Dinners sounds like a fantastic idea to get fresh and healthy meals so the cookie dough balls would be the perfect finishing touch. Im not sure they would last that long in my freezer as they are too tempting. My mom recently had surgery and it'll be a while before she can cook for herself again. I would love to go to Dream Dinners and stock her freezer. I wish we had one of these near me! This looks amazing–and FUN! These can definitely be a HUGE time saver! Love the concept! I like your recipe for the cookie dough. Since it doesn't have eggs in it, it should be safer raw! I definitely prefer to make cookie dough without eggs, since my mom is allergic to eggs! Great post, hun! This looks so good and I love cookie dough without eggs so I can eat it! I love the idea of prepping everything in advance. I keep saying I'm going to do that and then I never get around to it. It sounds like Dream Dinners is the perfect solution! I have heard a lot of great things about Dream Dinners. Those Freezer Cookie Dough Balls looks amazing, and downright dangerous. I really love me some cookie dough. I have never heard about Dream Dinners before, although I have heard of similar type of establishments. How hand to have everything ready in one place to put 12 meals together – that is a huge timesaver. 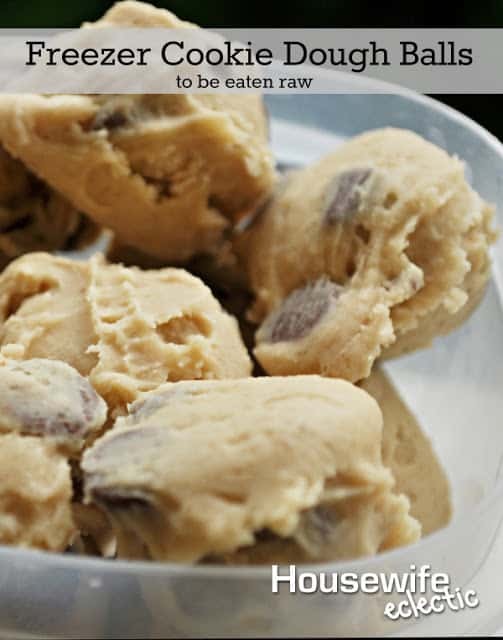 First, I love raw cookie dough. Yum! I need one of these Dream Dinners in my life. It would be so wonderful to have a bunch of freezer meals ready! I had friends who went to dream dinners and loved it. Those cookie dough balls sound good. Oh wow – I love, love, love the frozen cookie dough idea. So fun and easy! I pinned it and will be trying it soon!